LOOK. Archdiocese of Portland Job Opportunity. 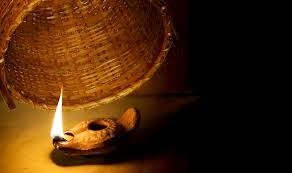 "Don't Hide Your Light Under a Bushel Basket." Monsignor Buxman is in need of an Office Supervisor. If you know of a good applicant, please apply. The Vicar for Clergy assists the Archbishop in all matters pertaining to clergy, including parish assignments and ongoing formation. 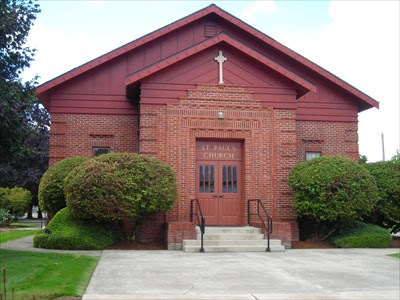 The Office Supervisor facilitates the work of the Archdiocese of Portland Clergy/Personnel Department, providing administrative assistance to the Vicar for Clergy and his subordinates. The position also supervises 1 administrative assistant resolving workflow conflicts for three other smaller offices as necessary. The office supervisor requires excellent organizational and communications skills with the ability to produce accurate correspondence and reports in a timely fashion, as well as organize files, events, and materials in a successful manner. The ideal candidate will possess excellent verbal and written communication skill with a high level of accuracy and attention to detail. For consideration please send resume and cover letter highlighting how your experience and education meet the above requirements to hr@archdpdx.org with Office Supervisor in the subject line by February 1, 2014. For to us a child is born, to us a son is given; and the government will be upon his shoulder, and his name will be called "Wonderful Counselor, Mighty God, Everlasting Father, Prince of Peace." Again and again I want to thank all of you for your prayers and help. I know many have been praying for my work situation and our work at Precious Children of Portland (PCOP). My wife and I and all at PCOP appreciate your prayers. They are so necessary and are so appreciated. I know this letter is long, but please take the time to read it as there are many key events. Before I list the events and an update on the situation at school, I wanted to share some thoughts on the Holy Family as we savor another Christmas season. I bring you good news of a great joy which will come to all the people; for to you is born this day in the city of David a Savior, who is Christ the Lord. I was thinking of how we all love to hold a little baby and that is why the Lord came to us as a baby. He wanted to make sure that we would love him. He loves us so much and what a great way to give thanks by loving him. It sometimes seems that the role of St. Joseph is sometimes forgotten just as the role of fathers is commonly forgotten today. If you think about it we Jesus the "Mighty God" and "Everlasting Father" and we have Mary who conceived Jesus while remaining a Virgin and she tells her cousin Elizabeth that, "all generations will call me blessed." In spite her greatness and that of her son, she follows her husband. I often think of the name of, "Holy Family," is an understatement; both spouses are visited by angels and their son is the savior of the world. What is the lesson? 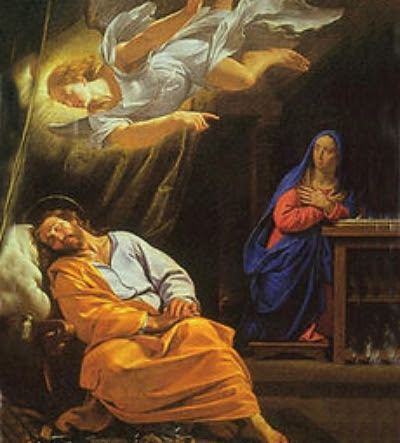 I think all spouses need to be holy and pray for each other; just think if we wives would pray that their husbands would be great protectors like St. Joseph. What is husbands would pray that all would see their wives as being blessed and treat them as such? Please come and hear Abby Johnson at St. Edwards church in Keizer, Oregon (near Salem) on Saturday, January 11, 2013 at 7:00 PM (map) Abby Johnson has formed a group to help people escape the atrocities of abortion centers. Read more about her organization And Then There Were None. Please come to largest rally and march in Oregon on Sunday, January 19, 2014 at Pioneer Court House Square at 701 SW 6th Avenue in Portland, Oregon at 2:30 PM. The rally is from 2:30 to 3:30 and then there will be a march in downtown Portland returning to Pioneer Court House Square starting at 3:30 PM. Please bring the entire family. (map) More information is available here. Holy Rosary Parish in Portland and Fr. Eric Anderson have chartered a bus that will be leaving from the parking lot of Holy Rosary after the 7am mass on Thursday, January 23, 2014 and will will arrive at San Fransisco that evening. Participants will have a free day on Friday, the Walk for Life on Saturday and driving back on Sunday, January 28th. Please contact Holy Rosary Church at 375 N.E. Clackamas, Portland, Oregon 97232, 503.235.3163. (map) More information on the walk in San Fransisco is found here. 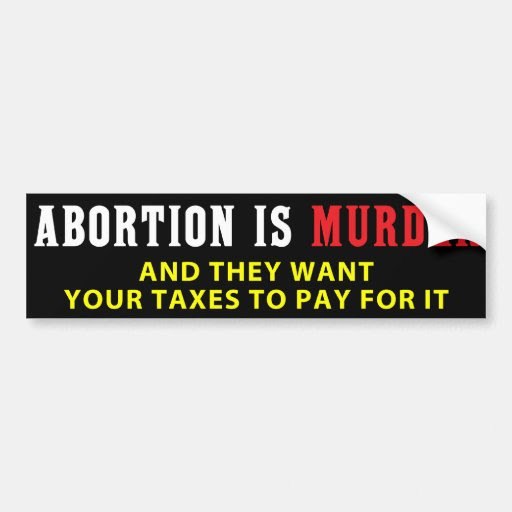 Did you know that nearly half of the abortions in the the state are funded by your tax dollars? Did you know that tax dollars kill 11 babies a day in Oregon. That means that you and I are paying to kill babies and wound their mothers for life. Please check out this link, obtain sheets and get the signatures. Thousands are needed. Please read the last newsletter. Again thanks to all of you for your help. People are very interested in all of this and it is a bit strange writing about it. I do not want to draw attention to myself but to the evil of Planned Parenthood and their supporters like Portland Public Schools (PPS) and PDC and others. I think the school will really work hard on this case to send a message to all employees that you cannot and must not disagree with the ideological thoughts and procedures of PPS. I think many terrible things will be said about me and many will do much more than just slander me. I just hope that the all of the evil will result in Planned Parenthood being removed from PPS and from all schools. I am tutoring in math, electronics, computer science, English as a second language, and other courses. Do not hesitate to call or email me [503-334-6183 or mr.diss@gmail.com]. A young adult group will be sponsoring an information and support night for my family on January 17, 2014 at Holy Trinity at 13715 SW Walker Rd, in Beaverton, OR 97005. (map) The event will start at 7:00. Please bring a dish of food to share and I will be available for questions and will present some information about Planned Parenthood, what happened at school and what actions are being planned. There is Facebook information. When I last wrote about the situation before Christmas, I had mentioned that I was going to be on national news. I have included the FOX video at the bottom of the message. Many thanks to Christian Radio KPDQ and the other local stations that covered the story. Many of you have asked how you can help and again, please pray. We are fighting the demons of hell and we need to pray and pray. Please pray for the lawyers helping me. 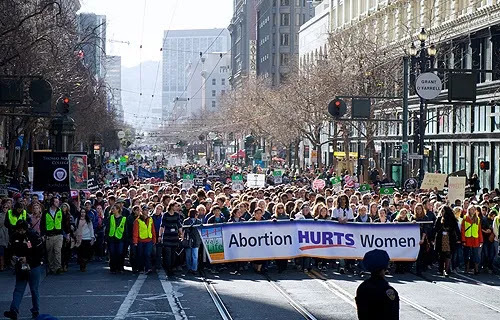 Another great way to help is to be involved in the big rally in Portland and to help in the effort to stop abortion funding in Oregon. As my mother would say when we would ask how we could help, she would reply, "Be Good." I can't think of another way to be good then to work for life and purity. Many of us would really like to tell the school board of what we think about their relationship with Planned Parenthood. Well someone finally did it. She quoted quoted parts of Planned Parenthood's video and the school board has commented out her words on the saved video. In spite of the efforts of the school board, the video is worth seeing. Please watch the three minute video here. You can also watch other speakers at the board meeting. Life News has been doing a great job keeping track of the action we are taking regarding the religious discrimination. Please visit the following links. Some of you were at the hearing where the administration stated that I had a student burning in a 12 story building in a test question. Here is the test with the student's name changed to my name. You will also notice that is was a make up test to give students another chance on the material. Links from TV stories. Please do not hesitate to thank reporters. I think the KOIN story was very good. New Year and New Cardinals on the Feast of the Baptism of Our Lord. 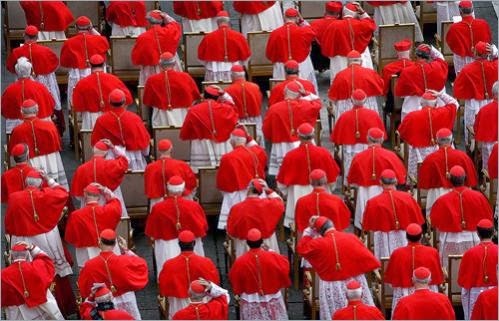 These new cardinals will be among those that vote for the new Pontiff when we need one. The choices made by the pope help us to understand more about him. At the end of this post are his remarks on this day of baptisms and naming cardinals. Robert Moynihan is the founding editor of Inside the Vatican magazine, a journal on Church and world affairs published every month in Rome. His email address is http://themoynihanletters.com/. Pope Francis today in Rome at his noon Angelus announced the names of 19 new cardinals, 16 "electing" cardinals under the age of 80, and three "honorary" cardinals above the age of 80, and so not eligible to vote in a Conclave. The ceremony to create these news cardinals will be in Rome on February 22, Feast of the Chair of St. Peter. It will be the first Consistory to create cardinals of Pope Francis. Are there surprises? Yes, a number -- except that most of these "surprises" have been rumored for many weeks, so we cannot really consider them "surprises" at all. But the choices are different than ones that might have been made by another Pope. Pope Francis in general has chosen "lesser-known" men (for example, a lesser known prelate from the Philippines, Orlando B. Quevedo, O.M.I., Archbishop of Cotabato) and overlooked several prelates who might normally have been "expected" to have been named cardinals, especially Archbishop Francesco Moraglia, Patriarch of Venice, originally from Genoa (he was ordained a priest by Cardinal Giuseppe Siri of Genoa). That is, Francis, by his choices, continues to give a powerful signal that he wants the Church to think less about herself -- in his signature phrase, to not be "auto-referential" -- and instead to think more about the poor and suffering in our world, to go increasingly "out of the sacristy" and into the "peripheries" to encounter those who are often forgotten and without hope. So, under Francis, we are in a period when old schemes of ecclesial power and authority, and promotion, are being set aside in favor of a new emphasis on pastoral care in support of the marginalized and the suffering. There are no Americans on the list (some had expected one or two American archbishops might be chosen). There is one from Great Britain: Archbishop Vincent Nichols of Westminster. The personal secretary of Pope John XXIII, Loris Capovilla, who is now 98, was chosen. He was present in 1959 when Pope John, at Catsel Gandolfo, asked for the Third Secrect of Fatima to be brought to him to read. 1. Pietro Parolin, Titular Archbishop of Acquapendente, Secretary of State. 2. Lorenzo Baldisseri, Titular Archbishop of Diocleziana, Secretary General of the Synod of Bishops. 3. Gerhard Ludwig Mueller, Archbishop-Bishop emeritus of Regensburg, Prefect of the Congregation for the Doctrine of the Faith. 4. Beniamino Stella, Titular Archbishop of Midila, Prefect of the Congregation for the Clergy. 5. 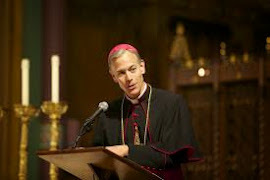 Vincent Nichols, Archbishop of Westminster, United Kingdom. 6. Leopoldo Jose Brenes Solorzano, Archbishop of Managua, Nicaragua. 7. Gerald Cyprien Lacroix, Archbishop of Quebec, Canada. 8. Jean-Pierre Kutwa, Archbishop of Abidjan, Ivory Coast. 9. Orani Joao Tempesta, O.Cist., Archbishop of Rio de Janeiro. 10. Gualtiero Bassetti, Archbishop of Perugia-Citta della Pieve, Italy. 11. Mario Aurelio Poli, Archbishop of Buenos Aires, Argentina. 12. Andrew Yeom Soo jung, Archbishop of Seoul, South Korea. 13. Ricardo Ezzati Andrello, S.D.B., Archbishop of Santiago del Cile, Chile. 14. Philippe Nakellentuba Ouedraogo, Archbishop of Ouagadougou, Burkina Faso. 15. Orlando B. Quevedo, O.M.I., Archbishop of Cotabato, Philippines. 16. Chibly Langlois, Bishop of Les Cayes, Haiti. 17. Loris Francesco Capovilla, Titular Archbishop of Mesembria. 18. Fernando Sebastian Aguilar, C.M.F., Archbishop emeritus of Pamplona. 19. Kelvin Edward Felix, Archbishop emeritus of Castries. Perhaps the two most noticeable omissions are two Italians: Francesco Moraglia, Patriarch of Venice (recall that Pope John XXIII and Pope John Paul I were both Patriarchs of Venice before being elected Popes in 1958 and 1978, so Venice has been a very prominent see in the Church) and Cesare Nosiglia, Archbishop of Turin. Vatican's Congregation for Catholic Education, had opposed then-Cardinal Bergoglio's choice to be Rector of The Catholic University of Buenos Aires, Father Victor Manuel Fernández, who is said to be very close to Pope Francis and one of his "ghost-writers" for papal documents; and (2) the Archbishop of Malines-Bruxelles, Belgium, André Léonard, considered a "conservative" and one of the "rising stars" in the Church in Western Europe. 1. The first name on the list is that of the new Vatican Secretary of State, an Italian, Archbishop Pietro Parolin. This was a "necessary" choice, as Parolin, as Secretary of State, would (barring a complete revolution) have to be a cardinal. But this simply reinforces the idea the Francis respects and trusts Parolin — that is, that he knew already when he named him Secretary of State at the end of the summer that he would, in consequence of that, make him a cardinal. Parolin has spent his life in the service of the Holy See, first in Nigeria, then in Mexico, then in the Vatican Curia, and most recently in Venezuela as the Pope's nuncio (ambassador) there, under the difficult circumstances of the presidency of Hugo Chávez (who died on March 5, almost one year ago). So Parolin, who is fluent in Spanish, is very well-informed about the situation in Latin America today. Parolin has also, over the years, followed closely events in Vietnam, and in China. He is well-informed on Asia. Moreover, he was for a number of years the Vatican's lead negotiator at nuclear arms reduction talks in Vienna. So he understands well the situation of global armaments and their control. He has been at the forefront of Vatican efforts to approve and implement the Nuclear Nonproliferation Treaty. Addressing the International Atomic Energy Agency on September 18, 2006, at its headquarters in Vienna, Austria, Parolin referred to this treaty as "the basis to pursue nuclear disarmament and an important element for further development of nuclear energy applications for peaceful purposes." He said: "Since this treaty is the only multilateral legal instrument currently available, intended to bring about a nuclear weapons-free world, it must not be allowed to be weakened. Humanity deserves no less than the full cooperation of all states in this important matter." Parolin is a courteous, friendly man, very well-trained, profoundly dedicated to his work (he often works into the evening, 12-hour days), and he is exceptionally calm and balanced: key attributes for the delicate work of diplomacy, which seeks to find a way to resolve problems and disputes between contending, and sometimes unreasonable, parties. Parolin is now the key "filter" between Pope Francis and the world's diplomatic and political communities, where the worldly interests of nations and interest groups contend and clash. He has said was taken by surprise when Pope Francis named him his Secretary of State, but Pope Francis clearly trusts him and will be relying greatly on him in the months ahead. 2. The second name is that of the new head of the Synod of Bishops, also an Italian, Lorenzo Baldisseri. Pope Francis, moments after his election on March 13, famously removed his own cardinal's cap and placed it on the head of then-Archbishop Baldisseri, who was acting as the Secretary of the Conclave. Vatican watchers immediately interpreted that as a sign that Baldiserri would be made a cardinal in the Pope's first Consistory, and that has turned out to be a true forecast. Born in Pisa, Italy, Baldisseri served in the Vatican's diplomatic service in Guatemala, Haiti, Paraguay, India and -- for 10 years -- in Brazil. So Baldiserri, who speaks Spanish and Portuguese fluently (and also English), has decades of personal experience in Latin America. For the past two years, he has been the Secretary of the Congregation of Bishops, the body which studies the choices of bishops from around the world for the Latin-rite Church, so he knows well the process to choose bishops, and the more recent choices as bishops. He is also an accomplished pianist, and has played in concerts in and out of the Vatican. 3. The third name, Gerhard Mueller, is another "necessary" choice. Pope Benedict named Mueller head of the Vatican's chief doctrinal office, the Congregation for the Doctrine of the Faith. Mueller, who is a very tall, powerfully-built man, was trusted by Benedict in part because he has been handling the editing of Benedict's collected works (Opera Omnia). Mueller has been a close personal friend of Father Gustavo Gutierrez of Lima, Peru, considered to be the "father" of Liberation Theology. Mueller met Guttierrez in 1988 and has often visited him, spending weeks in Lima in study programs. “The Latin American ecclesial and theological movement known as 'Liberation Theology,' which spread to other parts of the world after the Second Vatican Council, should in my opinion be included among the most important currents in 20th century Catholic theology,” Mueller has said. 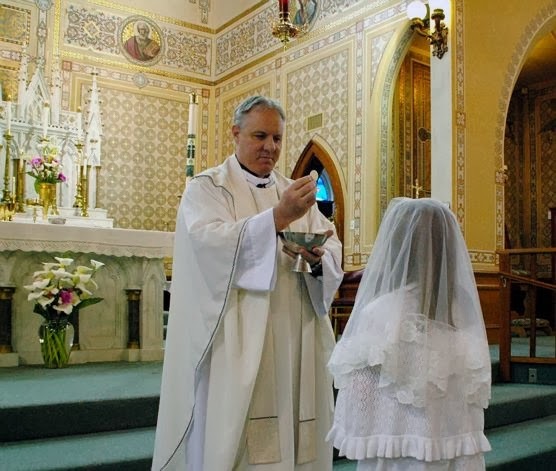 Mueller is also known for having said that the Church's position on admitting to divorced and remarried Catholics to the sacrament of Communion is not something that can or will be changed. But other German Church leaders, including Cardinal Walter Kasper, have recently gone on record saying the teaching may and will be changed. So this is one important area of discussion and potential tension in coming months, leading up to the Synod on the Family in October. There are only three Patriarchates in the Latin Church: Lisbon in Portugal, Jerusalem in the Holy Land, and Venice in Italy. Patriarch Faoud Twal of Jerusalem is not a cardinal. 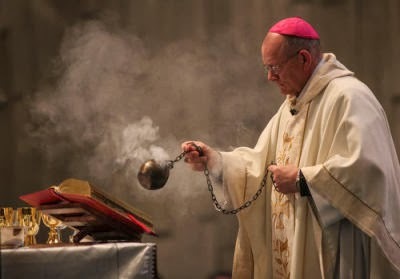 And, for the moment, the Patriarch of Venice, Moraglia, will not be a cardinal. Moraglia was named Patriarch of Venice two years ago, in January, 20912, by Pope Benedict XVI, succeeding Cardinal Angelo Scola on the throne of St. Mark. He took up his post in March 2012. Moraglia was born in Genoa on May 25, 1953 and was ordained priest by Cardinal Giuseppe Siri on June 29, 1977. A doctor in dogmatic theology, he worked a director of the office of Culture and at the University of the Diocese of Genoa, as a professor of Christology, anthropology, the sacramentary and history of theology at the Theological Faculty of Northern Italy and as dean and professor at the Higher Institute of Religious Studies of Liguria. Moraglia was considered a "Ratzingerian," both from a theological and liturgical point of view. However, on more than one occasion, the bishop took a supportive position on behalf of unemployed factory workers. Today is the feast of the Baptism of the Lord. This morning I baptized 32 newborns. I thank the Lord with you for these babies and for every new life. I like to baptize children. I really enjoy it! Every child who is born is a gift of joy and hope, and every child who is baptized is marvel of the faith and a festival for the family of God. Today’s Gospel reading highlights the fact that, when Jesus received baptism from John in the Jordan River, “the heavens opened for him” (Matthew 3:16). This fulfills the prophecies. In fact, there is an invocation that the liturgy has us repeat during Advent: “O that you would rend the heavens and come down!” (Isaiah 63:19). If the heavens remain closed, our horizon in this earthly life is dark, without hope. But, celebrating Christmas, the faith has once again given us the certainty that the heavens have been opened by Jesus’coming. And on the day of Christ’s baptism we again contemplate the opened heavens. The manifestation of the Son of God on earth is the beginning of the great time of mercy, after sin had closed the heavens, making a barrier between human beings and their Creator. With Jesus’ birth the heavens are opened! God gives us in Christ the guarantee of an indestructible love. From the moment the Word was made flesh it is possible to see the heavens opened. It is possible for the shepherds of Bethlehem, for the magi from the East, for the Baptist, for the Apostles of Jesus, for St. Stephen, the first martyr, who exclaimed: “I see the heavens opened!” (Acts 7:56). And it is also possible for each one of us, if we let ourselves be invaded by God’s love! This is the great time of mercy! Do not forget it. This is the great time of mercy! 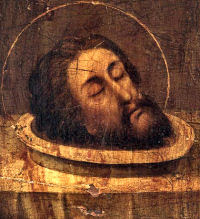 When Jesus received the of baptism repentance from John the Baptist, entering into solidarity with the repentant people – he who is without and without a need to convert – God the Father made his voice heard from heaven: “This is my beloved Son. In him I am well pleased” (Matthew 3:17). Jesus received the heavenly Father’s approval, who sent him precisely to share our condition, our poverty. Sharing is the true way to love. Jesus does not disassociate himself from us. He considers us brothers and shares with us. And in this way he makes us sons, together with him, of God the Father. This is revelation and the source of true love. And this is the great time of mercy! Does it not seem to you that in our time there is a need for more fraternal sharing and of love? Does it not seem to you that we all need more charity? I am not talking about that charity that contents itself with extemporaneous help and does not get involved, does not put itself into play, but that charity that shares, that takes on our brother’s hardships and suffering. What flavor life has when we let ourselves be flooded with God’s love! 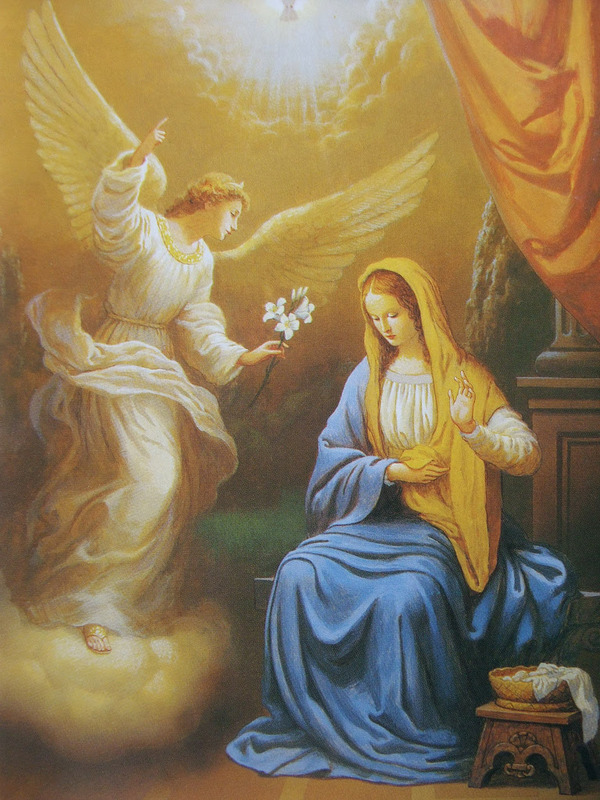 Let us ask the Holy Virgin with her intercession to sustain us our effort to follow Christ along the way of faith and charity, the way traced out by our Baptism. I offer all of you my cordial greeting, especially the families and the faithful from different parishes in Italy and other countries along with the associations and various groups who are present. Today I would like to address a special thought to the parents who have had their children baptized and those who are preparing for the Baptism of a child. I join in the joy of these families, I thank the Lord with them, and I pray that the Baptism of their children with help the parents themselves to rediscover the beauty of faith and to return in a new way to the Sacraments and to the community. As has already been announced, on February 22, the Feast of the Chair of St. Peter, I will have the joy of holding a consistory, during which I will name 16 new cardinals, who – belonging to 12 nations from every corner of the world – represent the profound ecclesial relationship between the Church of Rome and the other Church’s dispersed throughout the world. On the following day I will preside at a solemn celebration with the new cardinals while on February 20-21I will hold a consistory with all of the cardinals to reflect on the theme of the family. Let us pray for the new cardinals that, clothed in the virtues and sentiments of the Lord Jesus, the Good Shepherd, they can more efficaciously assist the Bishop of Rome in his service to the universal Church. Bishop Vasa's brother priest from his diocese, Father Eric Freed, was brutally murdered on New Year's Day. Here is a newspaper article sharing Father Freed's funeral mass. Rest In Peace dear Father. Hundreds of mourners gathered at Sacred Heart Catholic Church in Eureka on Monday to attend their last Mass in the presence of the late Rev. Eric Freed of St. Bernard Catholic Church in Eureka. Before the ceremony began, attendees consoled each other with embraces while others knelt in prayer. After the opening prayer and readings, Bishop Robert Vasa spoke to the congregation as he had done the night before during a vigil at St. Bernard Catholic Church. ”Each time we gather, it seems that the grief becomes a little more manageable,” Vasa said. During his homily, Vasa said that the community would share the grief of Freed's “untimely death,” but said that his teachings would still remain. ”The torch is passed to all of you,” Vasa said. “Do not lose faith, do not lose hope. The examples and teachings Father Eric gave you, these too remain.” As a way to begin after such a loss, Vasa told the congregation to utilize a characteristic that Freed exuded on a daily basis. ”The commission here in Eureka is to love with the same joy that he possessed contagiously,” Vasa said. After the Mass ended, a funeral procession followed the hearse to St. Bernard's Cemetery. 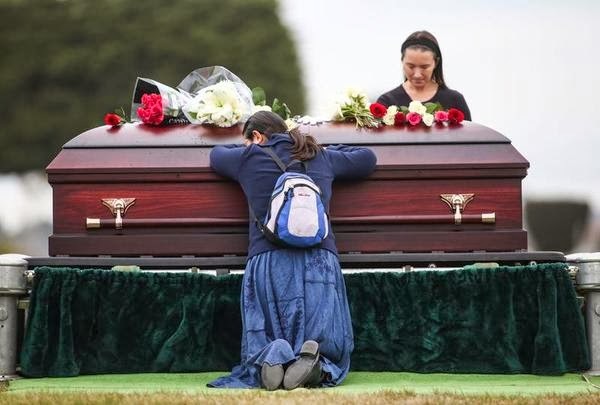 Mourners had the chance to say their final goodbyes -- some with a simple flower laid upon the casket while others fell to their knees and wept. A reception was held after the burial where the many mourners were able to share their memories of Freed.